fabulous yarn that I shared with you in the previous post. 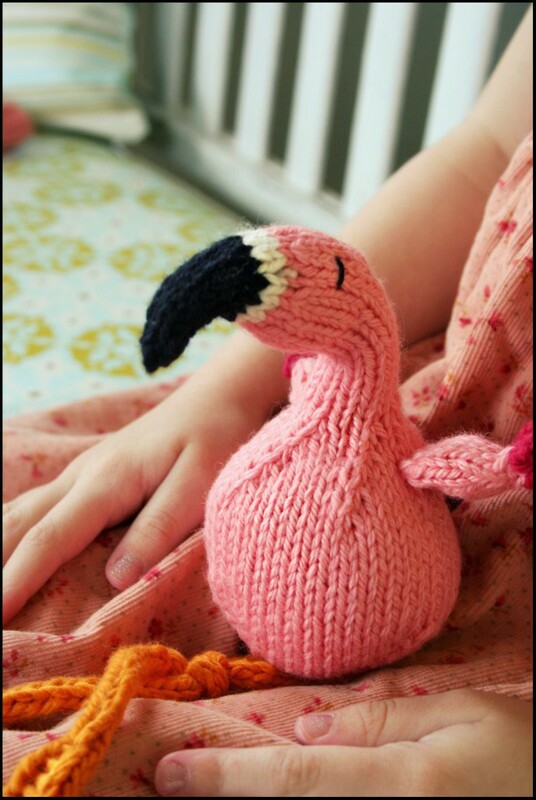 To celebrate the occasion, I knit this flamingo. Because.. everyone knits flamingos when they want to celebrate right? Wow. I just realized how incredibly boring I am. It has been a couple of months now since I indulged in knitting a toy for my daughter. I absolutely love the satisfaction of toy knitting. 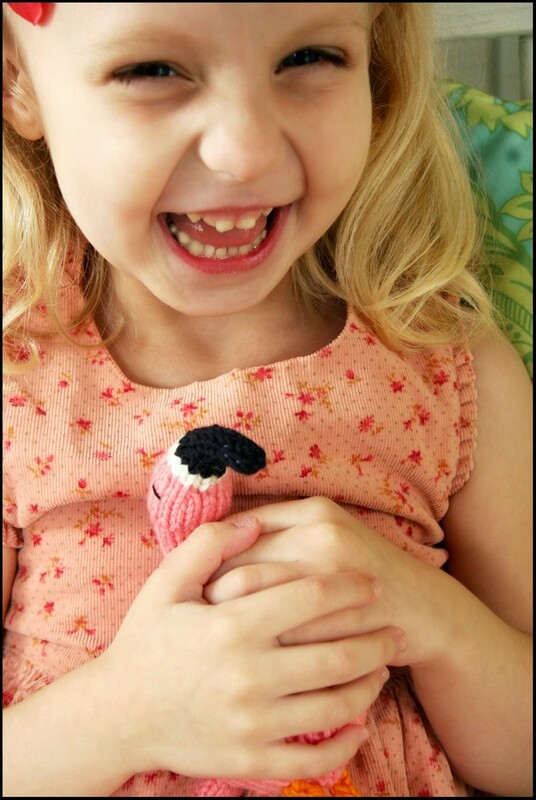 Toys are fun, fast to knit, and my daughter loves them. They are also great for using up scraps of yarn. Most toys I've knit have been from scraps, and that is a satisfying thing in itself. 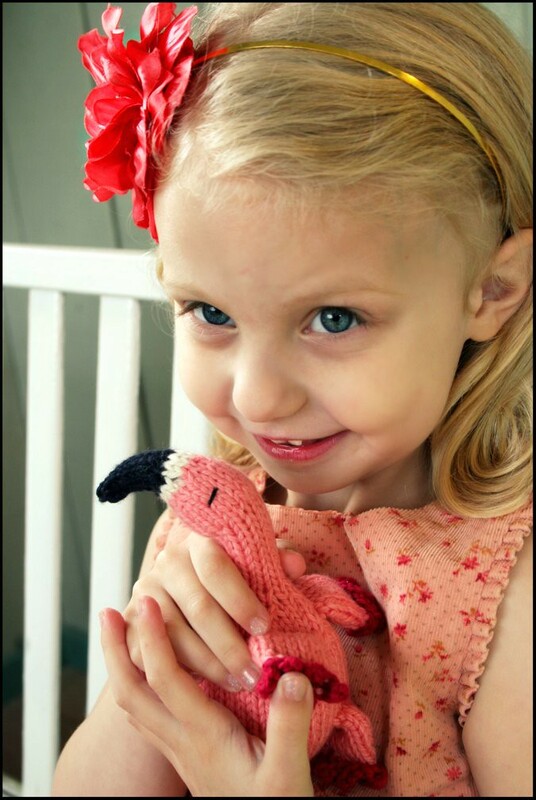 This little flamingo used up some scraps of Spud and Chloe Sweater yarn that I had leftover from my recently knit Chloe sweaters. The orange legs are from leftovers from my daughters knitted chickens from last year. 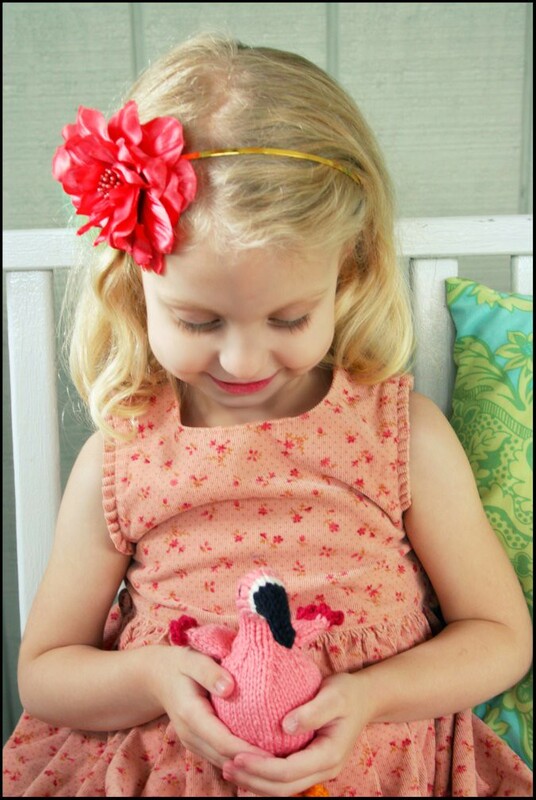 If you like this little flamingo, you'll be happy to know that the pattern can be found for free here. It's another design by Susan B. Anderson. I just can't stop knitting her toy patterns. This flamingo is cute and all, but lets get back to the point... there is an occasion to celebrate! My new pattern is done. And I am seriously so excited about it! 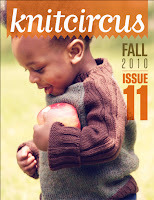 It's with my graphic designer and test knitters now and I'm hoping it will be ready to release soon. It's a beret pattern. A beautiful cabled leafy beret. And it was hard to do. But now its done. Meet Becoming Art's Cielo Sport in Cinnamon. It's so unbelievably beautiful I can't decide whether to marry it or eat it. Perhaps I'll just design something with it instead. 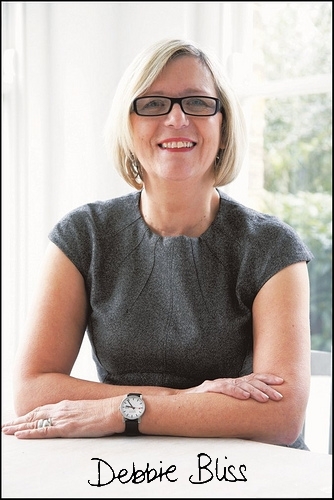 In the interview she talked about her latest book, Design it, Knit it; Babies. Which I love! 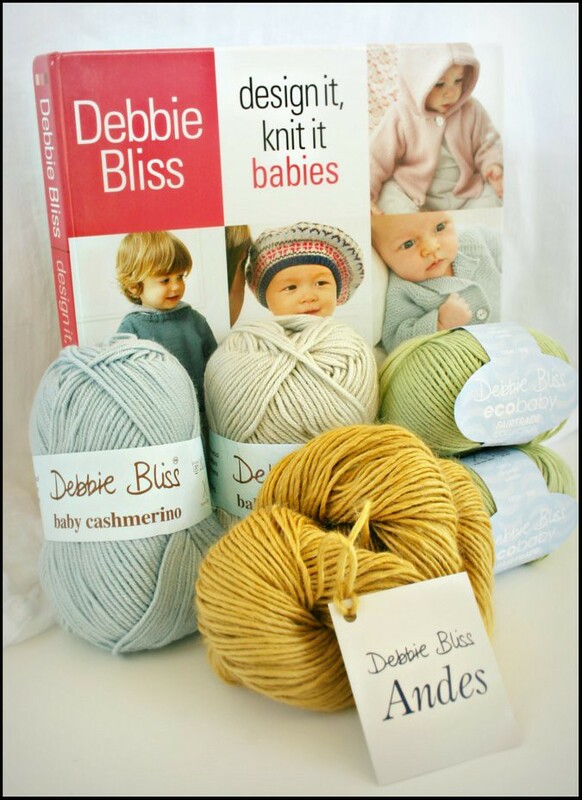 But in order to give you the full Debbie Bliss experience, there is yarn too! Knitting Fever, the US distributor for Debbie Bliss yarns, has kindly provided all of the yarn for this giveaway. Included in these yarns are two baby yarns that Debbie recommends in the book. Debbie Bliss Baby Cashmerino (My favorite) and Debbie Bliss ecobaby. Also the winner will get a chance to sample a skein from one of Debbie Bliss' newest yarn lines, Andes. To enter to win this fabulous prize, just leave a comment with contact information underneath this post. You should enter too! " The winner will be announced November 1. Check back then to see if you've won! Drawing is now closed. Congratulations to Marilyn, the winner! NeverNotKnitting Podcast : Episode 42 : Interview With... Debbie Bliss! Cindy M, Janeen Puckett, and Ursa! Congratulations! by entering special code "NNKDB" in the checkout process when you place your order. This offer is exclusive to the Never Not Knitting listeners and blog readers and is valid until October 30th. 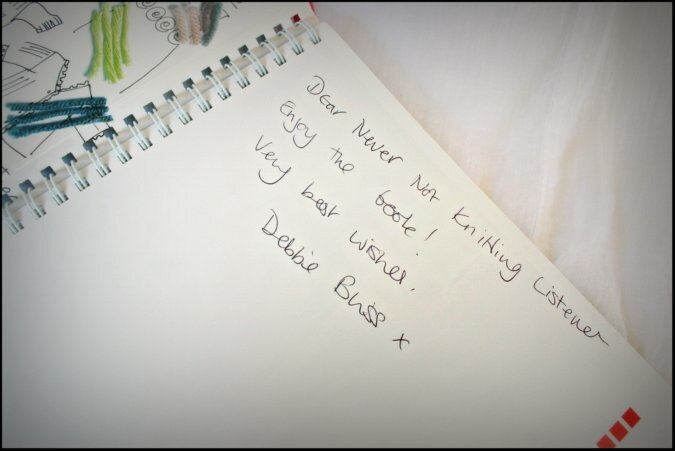 Be sure to check back soon for a chance to win a special Debbie Bliss drawing giveaway. I will post all the details in the near future! Click HERE to download the Episode 42 MP3 file. Which celebrity designer is joining me for Episode 42 of the Never Not Knitting podcast? 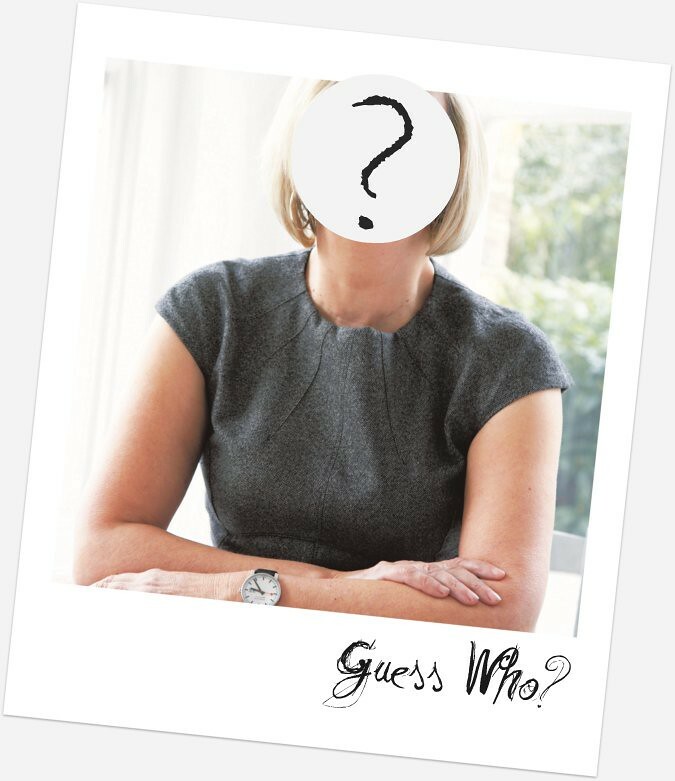 Clue: She has a magazine..books.. her own yarn line.. and she is awesome. Leave a comment below and tell me who you think it is! Episode 42 will be airing on October 15. This is not one to be missed! So over the past few weeks I indulged in some more tiny sweater knitting. There is something so sweet about sweaters this small. It makes me miss my daughter when she was a baby. Now she is all big and her sweaters take much longer to knit. I made this Playful Stripes sample for a temporary display at my new local yarn shop and eventually for another trunk show. This is a size 6 months so it was very fast and fun to knit. This time I broke out of my Debbie Bliss Baby Cashmerino comfort zone and knit this up in Blue Sky Alpaca Sport and Melange instead. The Melange and Sport are the same weight and put up. The Melange however offers up beautiful heathered colorways. Both are 100% baby alpaca. 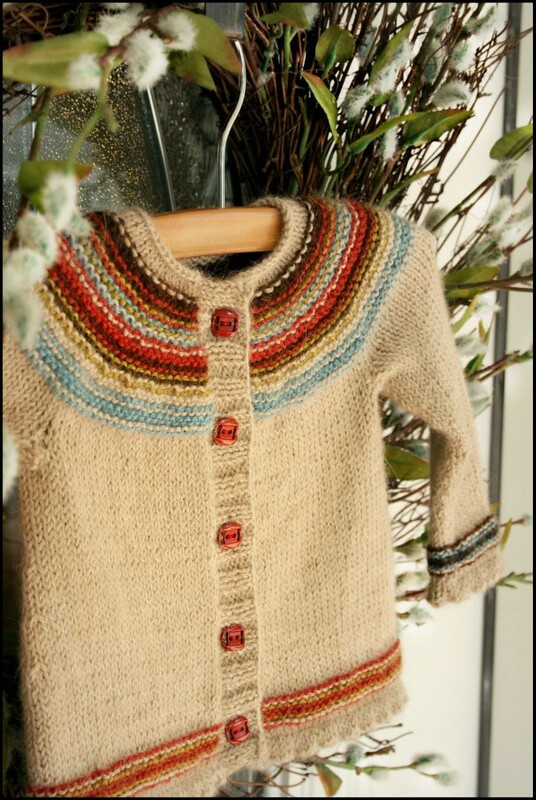 It may not be as practical for a baby but it sure is gorgeous in this yarn. While I was knitting this I was thinking about how much these colors would lend themselves to a little boys sweater as well. I think that the Playful Stripes could definitely work for a baby boy. I would simply change the picot borders to a rolled Stockinette st hem to make it less girly. 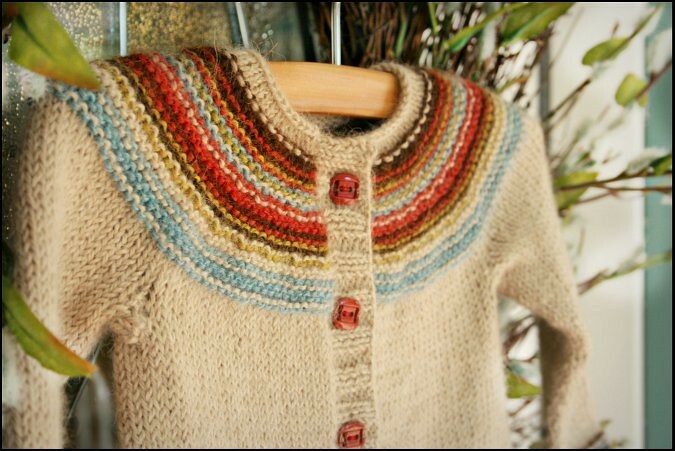 Would you like to try Knitcircus patterns? (with contact information) under this post. There will be 6 winners chosen! The grand prize is one years subscription of Knitcircus! 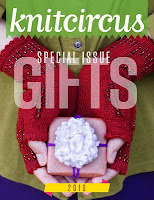 Five additional winners will be chosen to win the special Knitcircus Gifts pattern collection. 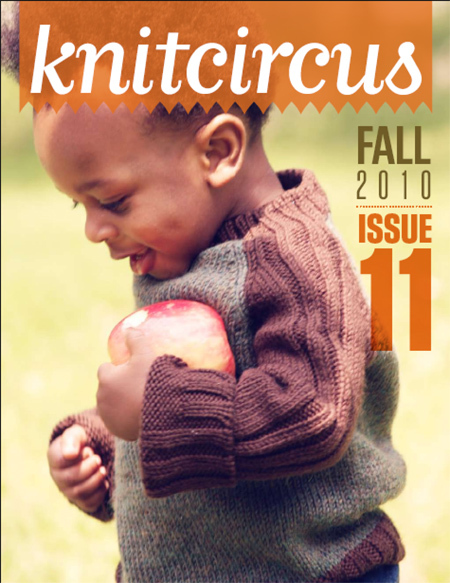 Click HERE to visit the Knitcircus site. Listen to my latest podcast episode to learn what Knitcircus is all about! Winners will be announced October 15. Please check back then to see if you've won! Winners are: cksknitter, Christi, Cindy M, Janeen Puckett, and Ursa! Grand prize goes to Pretentious Wombat! Madelinetosh Dk in Olivia- SO pretty! Use the "Buy Now" buttons below to purchase the Gift and Fall pattern collections for a discounted price. 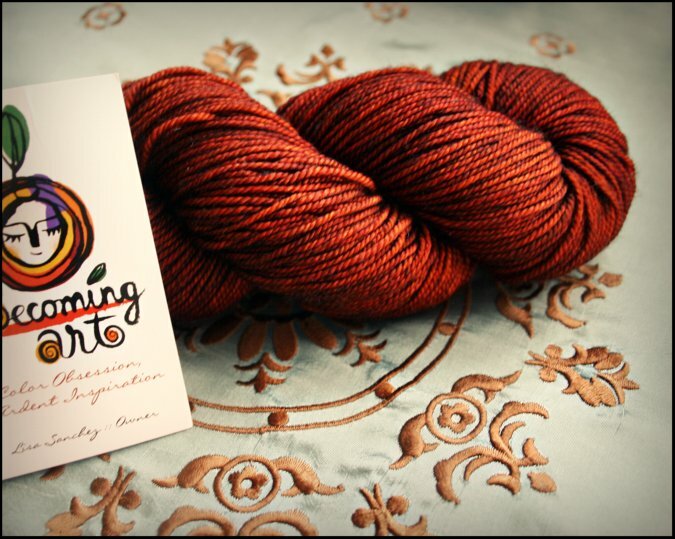 This offer is only available to the Never Not Knitting podcast listeners and blog readers. Check back for a Knitcircus Drawing Giveaway! Ill be posting that soon!